Chicago police have opened a hate crime investigation after a cast member of the television show “Empire” alleged he was attacked by men who shouted racial and homophobic slurs at him and physically attacked him. 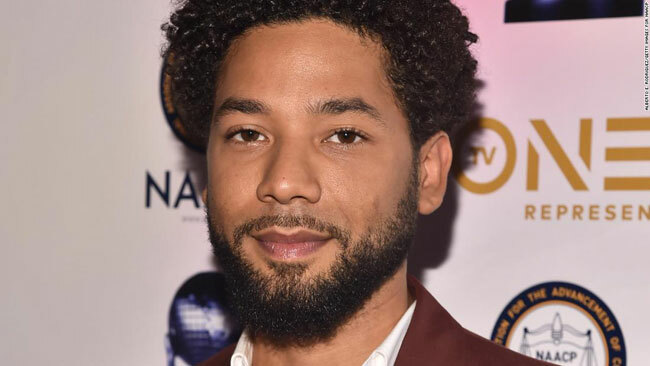 Police didn’t name the victim but Fox Entertainment identified him as 36-year-old Jussie Smollett. The actor, who identifies as gay, told police he was attacked while walking downtown around 2 a.m. Tuesday. Police said the victim reported two people approached him and began shouting “racial and homophobic slurs” at him. The men allegedly struck the victim in the face, “poured an unknown chemical substance” on him, and wrapped a rope around his neck, according to a police statement. In a follow-up interview with police, Smollett said his attackers yelled “MAGA country” during the assault, Chicago police confirmed to CBS News. As of Tuesday evening, police said they had yet to find surveillance video that showed the crime. “Thus far, no video of the alleged assailants or a vehicle has been discovered but we are continuing to broaden our search,” Chicago Police Department spokesperson Anthony Guglielmi said on Twitter. “Given the severity of the allegations, we are taking this investigation very seriously and treating it as a possible hate crime,” Guglielmi said in a statement. NAACP president and CEO Derrick Johnson said in a statement the group is “beyond troubled to hear about the recent racist and homophobic fueled attack on NAACP Image Award winner, acclaimed actor and activist Jussie Smollett.” GLAAD called for the incident to be investigated thoroughly. “Empire” co-creator Danny Strong said he was “deeply saddened and horrified” by the incident. “Whoever did this, do not forget that you are nothing but hate filled cowards while Jussie’s talent and activism will continue to shine a bright light on to the world for decades to come,” Strong tweeted. FBI data released last year showed a 17 percent increase in hate crimes between 2016 and 2017. Hate crimes based on race, ethnicity or ancestry were the most common, making up about 60 percent of the total. The FBI’s latest report also found 15.8 percent of hate crime offenses in 2017 stemmed from sexual orientation bias. Between 2016 and 2017, hate crimes motivated by racial bias rose about 18 percent and attacks on LGBTQ individuals rose 5 percent, according to the FBI. Chicago Police said they’re continuing to seek evidence and video in the case to identify possible offenders. So far, police haven’t developed information to be able to put out a suspect description, Guglielmi tweeted Tuesday afternoon.